Edith Pearlman’s (Issue 3) collection of stories, Binocular Vision, has been nominated for the National Book Critics Circle fiction award. 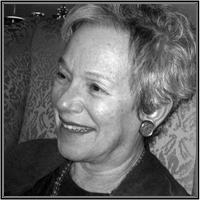 You can find more information and an interview with Edith Pearlman at Sycamore Review. Congratulations Edith on this wonderful achievement. Update: Edith Pearlman’s Binocular Vision has won the National Book Critics Circle fiction award. Critical Mass, the blog for the National Book Critics Circle Board of Directors, has just announced the 2012 Board Election Results. From 28 candidates, eight board members were elected to serve a three year term at the NBCC. SR is proud to congratulate Issue 1 contributor Rigoberto González, who has been elected to the board. Rigoberto is an award-winning author known for his reviews at the El Paso Times and LA Review of Books. The other seven members include Steven G. Kellman (author of Redemption: The Life of Henry Roth), Karen R. Long (book editor at The Plain Dealer), Michael Miller (editor at Bookforum), Laurie Muchnick (editor at Bloomberg News), Megan O’Grady (Contributing Editor at Vogue), John Reed (author of Snowball’s Chance), and Parul Sehgal (Books Editor of NPR.org). Congratulations to the new 2012 NBCC board.